The Château Ogier de Gourgue is located in the Commune of Saint Caprais de Bordeaux, a few kilometres to the south-east of Bordeaux (25 minutes) on the Cadillac Côtes de Bordeaux appellation, near to the town of Cadillac.It is in this beautiful verdant and hilly region of Entre Deux Mers that we cultivate 5 hectares of vines. 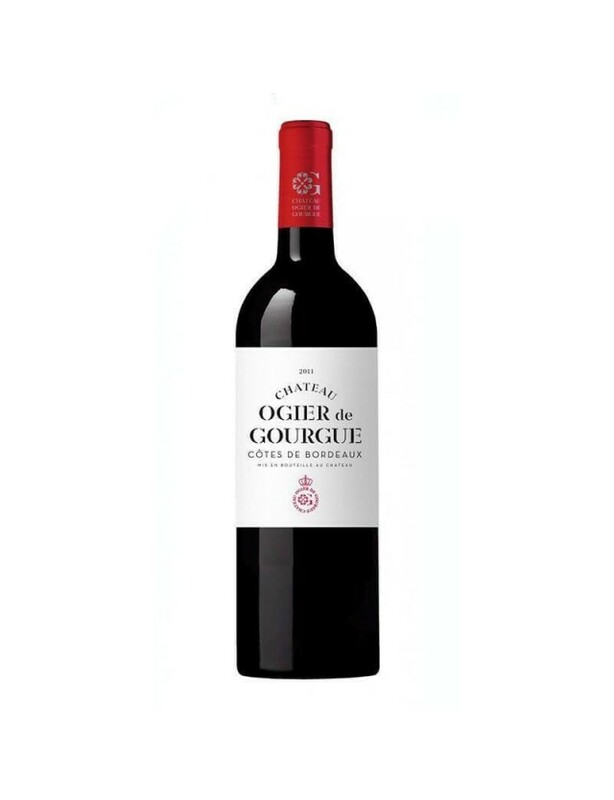 The terroir consists of clay-gravel and clay-limestone soils.For this intense red 2010 vintage, fine notes of ripe fruit line a well-structured, supple and round palate. The reasonable extraction of the tannins means that this rich vintage can be drank young and very much enjoyed. A braised calf sweetbread will be the perfect accompaniment to this cuvée. A vineyard cultivated like a garden This 5-hectare estate extends over clay-limestone and clay-gravel slopes, which drain naturally. The vine population consists of 60% Merlot, 30% Cabernet Sauvignon and 10% Cabernet Franc. The Château's harvest is intentionally limited to 30hl/ha in order to guarantee optimum grape quality.